Outdoor fireplaces give your home that extra pop and ultimately a competitive edge should you ever decide to sell your home. Jeff Fuller Designs has experience creating an unparalleled outdoor living environment with our stone and brick outdoor fireplace installations. 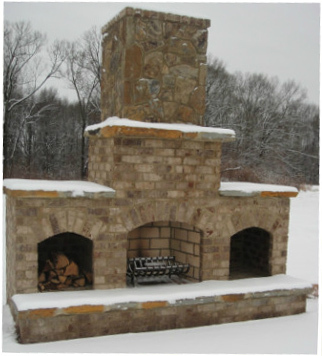 Check out our outdoor fireplace portfolio of past projects here. If it’s time to install an outdoor fireplace in your backyard, call Jeff Fuller Designs at 731-630-4739 for your consultation.